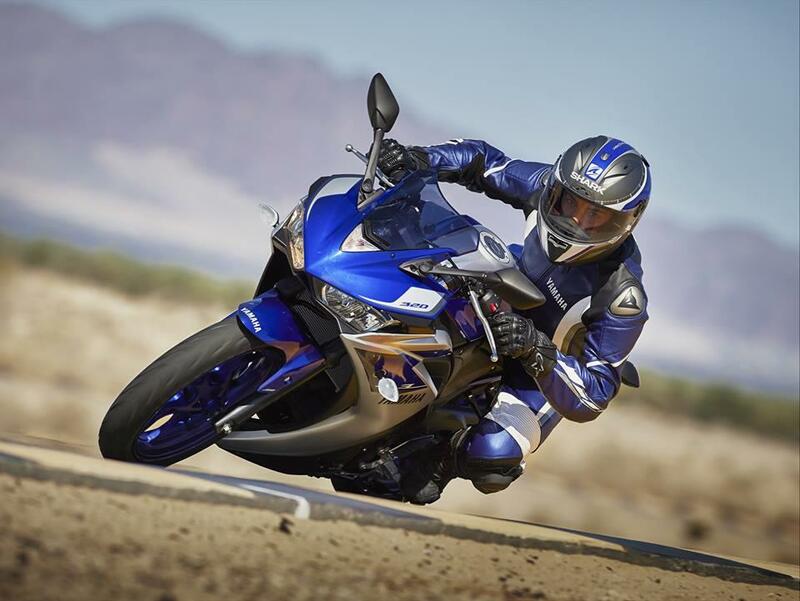 The lightweight end of the supersport market has been enjoying some serious attention from manufacturers and riders in recent years, and with Yamaha’s unveiling of their YZF-R3 we’re another step closer to recapturing the era when 400cc supersports bikes defined a generation of new riders. Boasting an entirely reasonable 41bhp and 21.8lbft from its 321cc liquid-cooled parallel-twin motor, the new R3 is bang-on the A2 licence limit (it weighs in at 169kg fully wet), and gives those tempted by Kawasaki’s Ninja 300R, Honda’s new CBR300R, and even the more generously cubed KTM RC390, another option to agonise over. 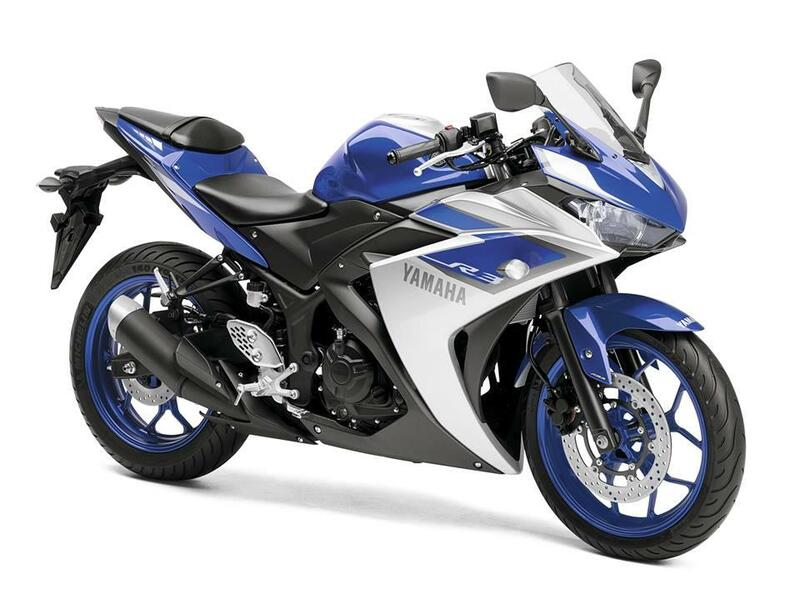 Visually a very clear member of the R-series family, the R3 offers riders wanting to move up from their YZF-R125 a very logical next step, neatly bridging the gap in the range between the 125 and their uber-focussed YZF-R6 without stepping outside the range. 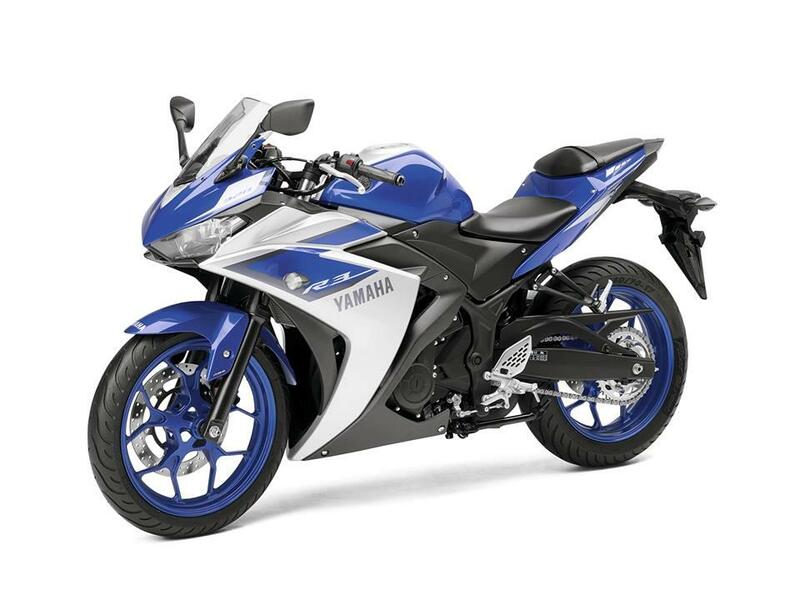 Yamaha claim that the all-new 321cc inline twin cylinder 4-stroke DOHC 4-valve engine has been designed for solid low to mid-rpm performance, rather than a buzzy screaming top-end rush. Nonetheless, it’s clearly going to be a rev-happy motor with peak power arriving at 10,750rpm, and peak torque at 9000rpm. A downdraft throttle body along with narrow angle 26.0mm intake valves and 22.5mm exhaust valves are claimed to deliver the best bang possible for the least amount fuel, while a very simple drive train (the only components between the cam and the valve are the lifter and the shim) helps keep weight low, and efficiencies high. The pistons are lightweight forged items, giving a reciprocating mass around 10% lower than cast pistons, being pushed and pulled in the DiaSil (aluminium and silicon) cast cylinder by carburized con rods that are also lighter and stronger. These are all learnings from the bigger R-series bikes, helping to deliver better quality and technology to the smaller bikes in the range. One of the common let-downs on entry level models is a cheap and sparse dash, but just like the R125, the R3 gets a comprehensive unit boasting all the information you should need. There’s an analogue tachometer and digital speedometer, shift light, gear indicator, fuel gauge, temperature gauge, fuel economy information, clock, and trip meters. The R3 also gets a completely new chassis, this isn’t just the R125 with a bigger engine shoehorned in. The steel diamond tubular frame uses 35mm tube, while the motor acts as a stressed member with three rigid mounts and one rubber mount. The wheelbase has been set at a relatively compact 1,380mm, keeping it nimble, and the weight balance is close to 50/50 front to rear. The Three also benefits from the R1’s swingarm pattern, using a longer asymmetrical swingarm (with the same ’arm to chassis ratio as the R1) to give the bike more stability thanks to reduced geometry fluctuations under acceleration and braking. The fork uses relatively sturdy 41mm diameter tubes – the largest in the class – with an aluminium yoke, and the 17-inch rims roll on 110 front and 140 tyres meaning that decent rubber can be fitted by those wanting more than high-street levels of performance. The R3 is expected to arrive in the UK in April 2015, while no price has yet been announced. 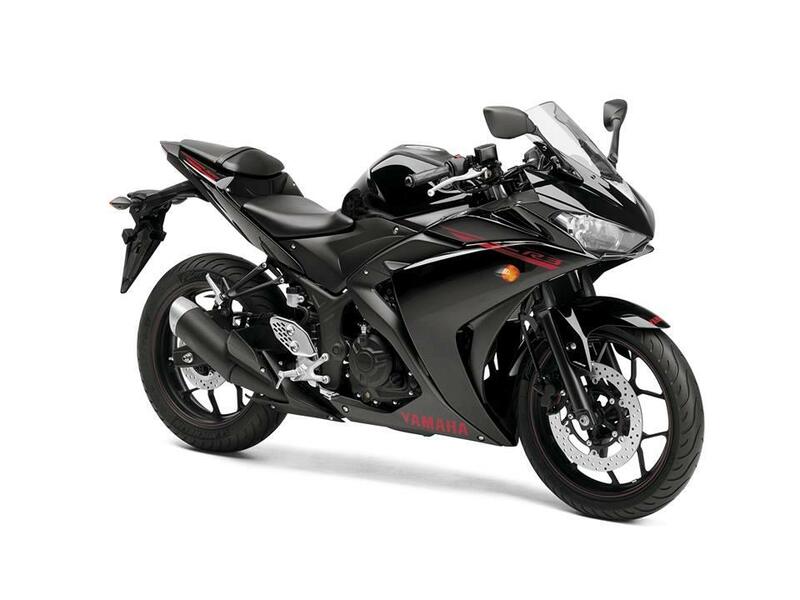 The CBR300R is a comfortable place to be. It has enough to power to get past traffic, delivers 62mpg, and has plenty of torque for such a small and light bike, too. The Ninja 300 feels like a scaled down bigger bike. With it’s excellent parallel-twin motor, it’s smooth, refined and polished option, making it a solid long-term buy. This is a bike for A2 licence holders to be very excited about. It has tom-up performance, lets you roll through the corners, and is built with lots of racy touches.